As an artist you have the fortunate opportunity to learn how to price what you make. Some claim this is pure science and if you just add up the numbers, viola! You’ll have a price that will sell. Other’s claim that it’s all in your gut and you should sell what you make based on how much you think its worth. In the time I’ve spent working with artist’s in my community, The Amazing Success Academy, I can tell you that it is more about what is happening out there in the market combined with some simple math. 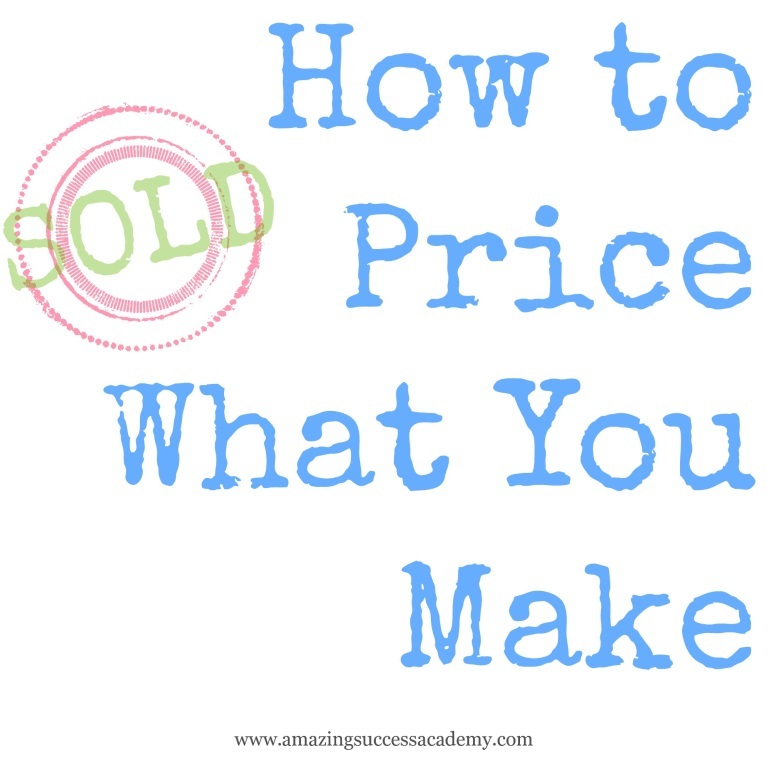 Below I’m going to talk about four areas that are vital to pricing what you make and pricing it successfully! When you are pricing what you make that are several factors that must be considered before you even start calculating numbers. It’s important that you consider the manufacturing time associated with any product. If it is something that is highly time intensive, you should weigh this against similar products on the market (more in the next section). Other factors to consider before you put too much work into a product are the materials costs and marketability. If your product requires a material that is extremely rare, this can work for you or against you – it all depends on your ability to market the product. Thinking about these three things: manufacturing time, materials costs and marketability before you create an entire product line. If all the pieces don’t fall into place, move on. You don’t want to waste your time on a product that is too expensive to produce or in unmarketable. Consider where your product’s price would fall in the range of other similar products. Nothing will test your product’s durability; createability, and marketability than testers. I am a big fan of testers and for a good reason – they work! What colors/materials/textures/etc. do you think are best for this product? How does this product make you feel? Finally, you have checked out your competition, gotten your seal of approval from your testers, your product passes the things to consider test; now what? Time to price it! When you price your products it’s important that you consider what your market can bear while also doing a little math. Here is what I suggest. $6.92 is the average market price for this example. 2. Next use the following formula to calculate your price. It should be near or close to the average price you calculated using the formula above. My final thought on prices… if it isn’t making you uncomfortable, then it’s not high enough. Handmade is about quality not quantity – treat it respectively. 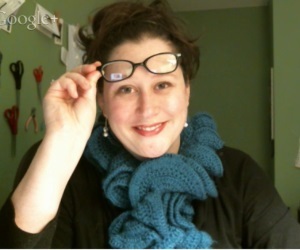 Martiel specializes in helping artist’s build online businesses and blogs. Find out how I can help you build yours today; Read this Now! Some good ideas here. You might also consider that for quality items, people might look at prices that are too low as ‘cheap’ and be less likely to buy them. These are some really good tips. I agree with Katie though. If something is under priced it makes you think “why?”. When I used to price my cakes I considered my time, overhead and skill. Great tips! I always struggle with what to price things at. Great info…..i basically use this same process when I go to craft shows, etc….but, seeing it all in black and white was so good. Thanks! Long ago, before the time of technology, I had a word of mouth thing going to sell my custom, personalized, handmade, wooden wall plaques for children’s rooms. I had one customer who kept coming back for my creations to give to all of her friends for their kid’s birthdays. I even gave her a bit of a discount for buying so much. Come to find out years later that she was actually re-selling them to her friends for DOUBLE what I was charging her! I was angry, hurt, and felt like such a fool. Lesson learned – NEVER undersell yourself! This information will really help me since I still have a problem with my confidence in selling things for what they are worth. Thank you Deby! No one can sell wholesale at 0 profit and find success, and stores want to make their cut of 100% profit as well! The market is flooded with skewed numbers because artisans often miss this step. This is very helpful. Mya i like your equation. However how do you calculate labour/hr? Is it minimum wage?